Reckless driver hits woman at crosswalk, attempts to flee. Amazingly, victim suffers only light injuries from hit. An Israeli woman in her 30s was struck by a passing car as she crossed the street at a designated crosswalk in Jaffa Monday morning. After hitting the woman, the driver sped off, but was later located and arrested by police. The victim was sent flying by the impact of the car, yet suffered only light injuries. 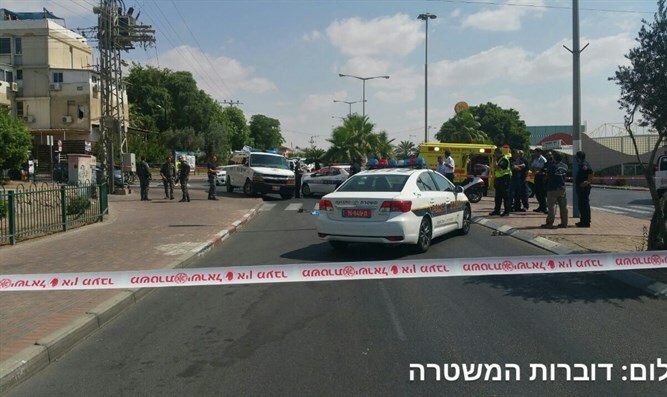 She was evacuated to Wolfson Hospital in Holon.